FISH OIL FRIEND OR FOE ? Home/Blogs/FISH OIL FRIEND OR FOE ? Do you take fish oil supplements? What about foods fortified with omega-3 essential fatty acids, such as eggs, bread, juice, soy milk, yogurt, and butter substitutes? If so, you may want to take a careful look at your overall diet and reconsider how many omega-3 fatty acids you are consuming on a daily basis, because taking too much may do more harm than good. Fish oil supplements have long been considered an excellent way to fight inflammation and protect cardiovascular health, but A study by scientists at the Fred Hutchinson Cancer Research Center in Seattle linked eating a lot of oily fish or taking potent fish oil supplements to a 43% increased risk for prostate cancer overall, and a 71% increased risk for aggressive prostate cancer. Their report was published online in the Journal of the National Cancer Institute. They came to this conclusion by looking at blood samples of men taking part in the Selenium and Vitamin E Cancer Prevention Trial. That trial, dubbed SELECT, found that selenium supplements did nothing to prevent prostate cancer, while vitamin E supplements slightly increased prostate cancer risk. Blood samples from men who had developed prostate cancer over the course of the trial had more omega-3 fats than those of men who didn’t develop prostate cancer. The report from the Fred Hutchinson researchers is just the latest to sound a warning about too much omega-3 fatty acids. In May 2013, for example, Italian researchers reported in the New England Journal of Medicine that omega-3 fatty acid supplements did nothing to reduce heart attacks, strokes, or deaths from heart disease in people with risk factors for heart disease. 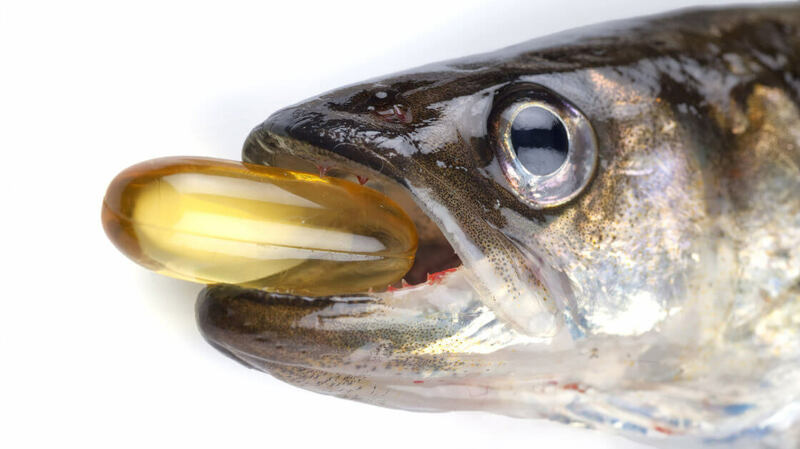 Evidence linking fish oil and cancer has been all over the map. Some research suggests diets high in fatty fish or fish oil supplements might reduce the risk of certain cancers, including prostate cancer. Other research shows no such association. Therefore, in the meantime, it seems not going crazy with omega-3 supplementation would be wise! Skip the supplements and omega-3 fortified foods and focus on eating whole foods naturally rich in omega-3 fatty acids instead. The study authors support the American Heart Association’s recommendations to eat fish high in omega-3s (i.e., salmon, lake trout, sardines, etc.) a couple times a week, but there are definitely other foods to consider. Top Foods High in Omega 3s. In other words, focus on eating a balanced, whole-foods diet for your nutritional needs. Nutrients are more easily absorbed from foods than supplements. Also, you don’t need to worry about throwing any one particular nutrient out of balance by taking too much of it in supplement form. That being said, omega-3 fatty acids are considered essential to our health and wellness. Our bodies can’t make them on their own. Plus, they support overall cell health, decrease inflammation, which is a major cause of several diseases, keep bad cholesterol in check, and help in many other ways as well. What should you do if you currently take fish oil? If your doctor prescribed them—they are an approved and effective treatment for people with high blood triglyceride levels—follow his or her instructions until you can have a conversation about fish oil. If you are taking them on your own because you believe they are good for you, it’s time to rethink that strategy.